"...Jordan takes great pride in his music, and performances..." and can provide great entertainment for any occasion. Jordan’s energetic stage show can appeal to a broad audience. With an eclectic range of music from traditional polkas with an energetic flare to "Sweet Home Alabama" to Merle Haggard. The Jordan Rody Band can appeal to any age demographic. Jordan’s passion for music began when he was very young. His biggest musical inspiration and influence has been his grandfather, Mike Kushneryk. Mike has performed with numerous polka bands, including The Happy Roamin’ Rangers and The Cotton Pickers, and he is one of the founders of the Grammy-nominated polka band The Western Senators. Mike gave Jordan his first accordion and spent countless hours teaching him. Without the help of his grandfather, none of Jordan’s success would have been possible. Jordan’s influences also include America’s Polka King, Frankie Yankovic; and Canada’s Polka King, Walter Ostanek. Jordan has performed across Canada in British Columbia, Alberta, Saskatchewan, and Ontario. 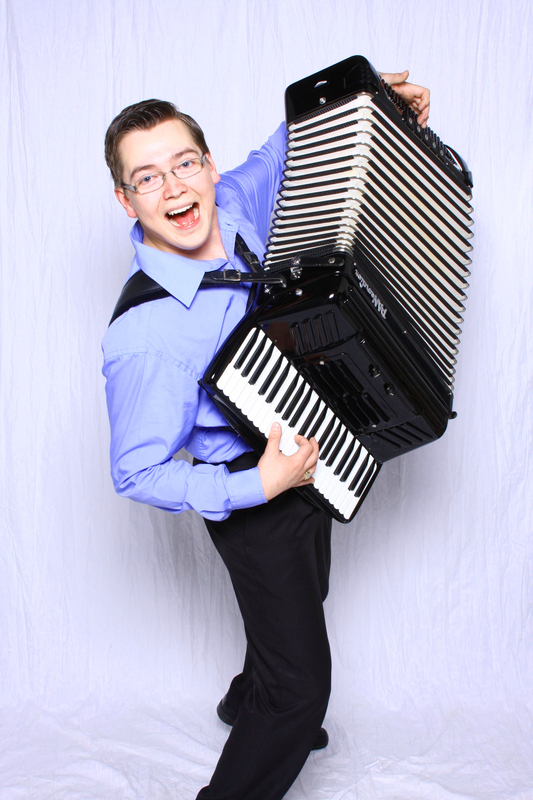 He has won awards at the prestigious Kimberley International Old Time Accordion Championships and numerous other events, performed for capacity crowds at the Leavenworth Oktoberfest in Leavenworth, WA; Norsk Hostfest in Minot, ND; Great Northwest Oktoberfest in Whitefish, MT. Jordan also performed at the 6th Annual PolkaFest at Casino Regina Show Lounge, and is a "Special Guest" on Season 7 of PolkaRama! with Walter Ostanek and The Western Senators. Jordan is now a full time member of the Grammy nominated band The Western Senators. Most recently, Jordan released his debut album "Main Squeeze!". Backing Jordan on the album is Saskatchewan's Grammy award nominated polka band, The Western Senators. This album contains many Polka favourites such as "Let's Have a Party", and "Baby Doll Polka". Jordan's album "Main Squeeze!" was nominated for "International Style" Album of the Year and "Song of the Year" for 2018 at the International Polka Association Festival in Buffalo, NY. The awards banquet takes place August 30th - September 1st, 2019. 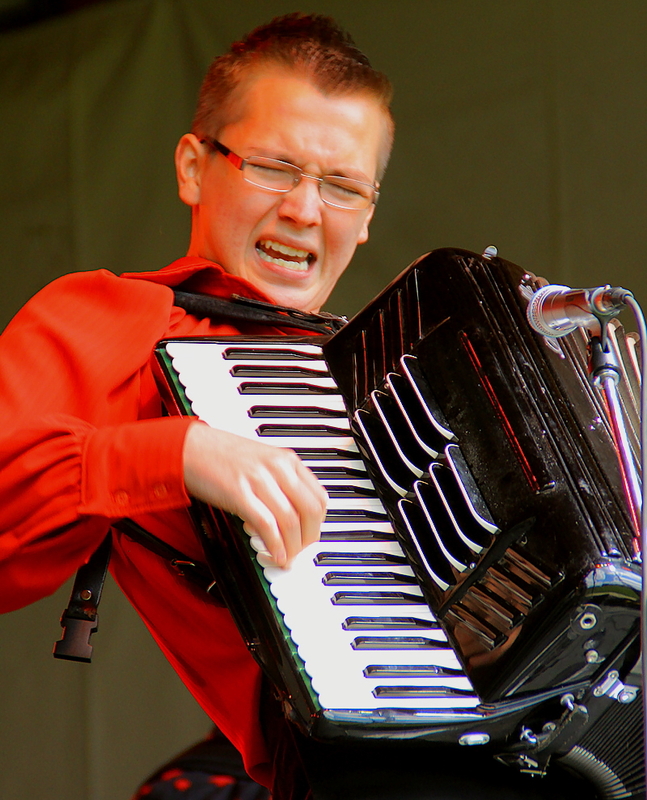 It doesn’t stop there for this young phenom in the polka world, so watch out for him! "We need more young people playing and promoting polka music - Jordan's doing that." "At such a young age, in addition to his tremendous talent, he is surprisingly already very comfortable on stage and knows how to entertain. I would highly recommend Jordan for a variety of events, as he would do well in many different scenarios." "I had the pleasure of meeting and working with a very talented and personable individual this past weekend at the Magnificent River Rats Festival by the name of Jordan Rody. Not only was Jordan an extremely talented accordion player and performer, he was also very friendly and extremely easy to work with. Jordan's professionalism and comfort level, both on and off stage, was well beyond his young age." "I highly recommend Jordan as a musician and performer. Jordan takes great pride in his music, and performances. He conducts himself in a professional manner, and his very responsible, and easy to work with." "Jordan's transformation from mild-mannered reporter to accordion-wielding axeman is a real treat for the ears and eyes. This is a don't miss performance." "Great to have Jordan playing his accordion all over the place, keeping the sounds of ole tyme music alive."